Innovation comes from people who are able to step out of their comfort zone and into the world of another person. This way of being in the world requires a person to take a risk. To not be right. To make a mistake. To admit not knowing. To allow their view of the world to shift by seeing through others' eyes. To stop their egos and their fears from making decisions and by following the story as it is and not as they want it to be. These risks take a person out of their comfort zone and out of a world of being 'right' all the time and into a space of creation not previously available. I played in a steel drum band in my teenage years. I had fallen in love with this instrument that was invented only 50 years prior by a boy on a poor caribbean island, out of trash left over from the war. How wonderful was it that this child looked at an oil drum and saw a musical instrument? Creativity and an open mind can bring such beautiful things to the world. Halfway through undergrad, I chose to change from Pre-Med to Engineering because I liked being able to learn from taking things apart and iterating my solutions rather than rote memorization. It scared me when suddenly I couldn't graduate in the 4 years it took everyone else but I didn't let that stop me. I moved to Montreal sight-unseen 2 years into my career at L'Oreal and learned not only a new part of the business but also managed a team of people for the first time, all in a language I had never spoken before. I stayed for 2 years and not only learned French but I became passionate about managing people. I wanted (needed) to be more creative in my work and so after more than 9 years and many amazing roles at L'Oreal I left a great job at a company I loved and went back to school for a Masters in Product Innovation and Design. Rather than jump right back into the working world, I took my love of travel many steps further than I ever had before. Wanting to go beyond the easy trips to London and Paris, after graduation I took a 6 month trip around the world and the US, journeying to South-East Asia, Australia/New Zealand, Africa, and Eastern, Central, and Western Europe, experiencing new cultures, mores, and values that inform the way I understand peoples' life experiences and world views." 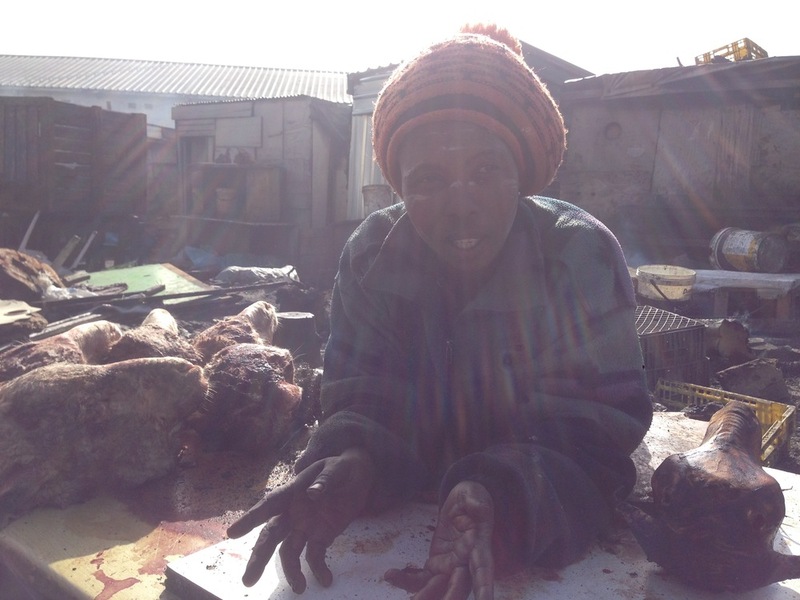 This is Patricia, whom I met while visiting the slums of Cape Town. At first she had no interest in talking to us, but after I saw she was not happy with our guide, I teased out why it was she was mad at him and took her side in the argument (quite rightly). She loved it! Patricia ended up spending about 45 minutes talking with us, telling us about her life - her joys, her fears, her day-to-day life and her wishes for her children. Meeting this amazing woman and our conversations with her and our guide Thando was one of the absolute highlights of my trip.